Bragar is located on the West Side of Lewis, some 4 miles west of Barvas along the A858 road to Garynahine. The cemetery is located at the end of a sideroad which issues from the western side of the village, a quarter of a mile past the Whalebone Arch. It commences at a row of council houses and quickly passes into the croftlands which slope down to the sea. Cars should be parked at the picnic area by the shore. 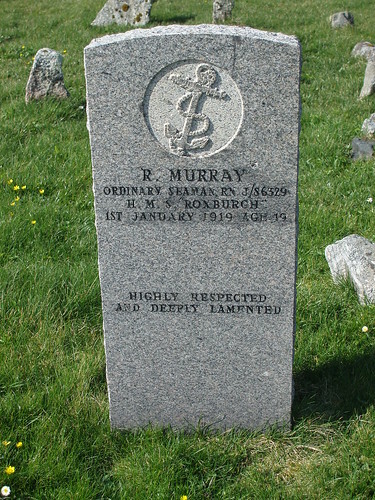 The road continues along the foreshore (Port Mhor) and up to the cemetery gates. 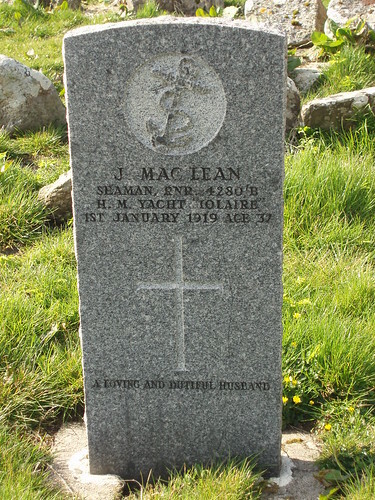 Bragar Cemetery is built around a ruinous temple, Teampuill nan Eoin. 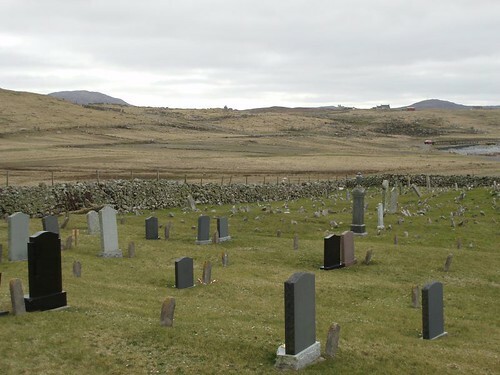 The graveyard is built on a hillside, and it sports some steep slopes and loose rocks in parts. 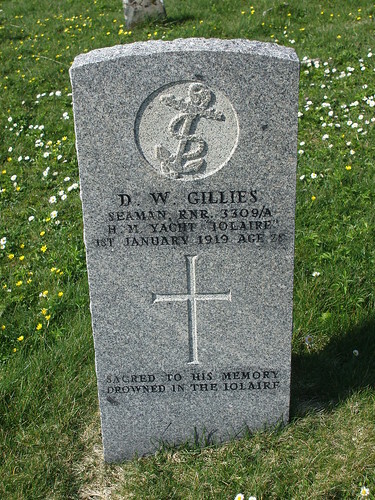 Pictures of victims of the Iolaire Disaster, buried here, were refreshed in April 2009 after the inscriptions on the stones were touched up by CWGC in 2008. 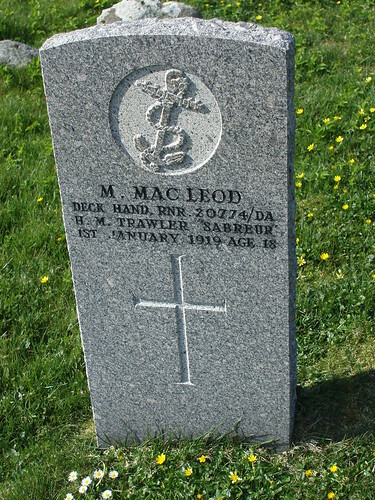 Son of Murdo Macdonald, of 3, Fevig, South Bragar, Stornoway. 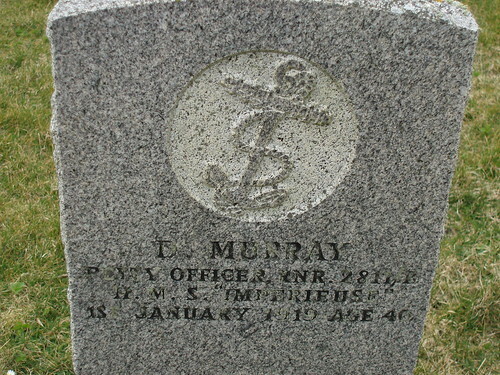 Son of Donald and Mary Murray, of 25, South Shawbost, Stornoway. 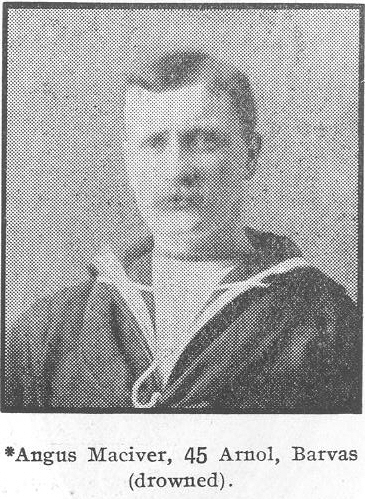 Son of Murdo and Catherine MacLean MacLeod, of 32, North Shawbost, Stornoway. 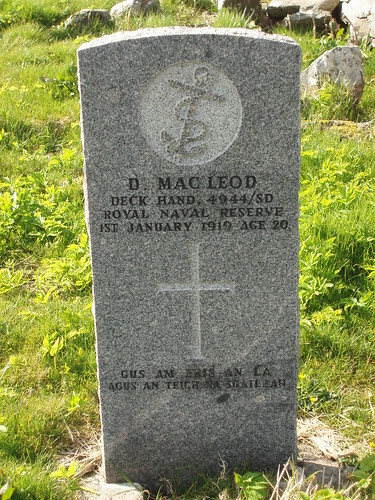 Son of Peter Angus MacLeod and Christina MacLeod, of 38, North Shawbost, Stornoway. 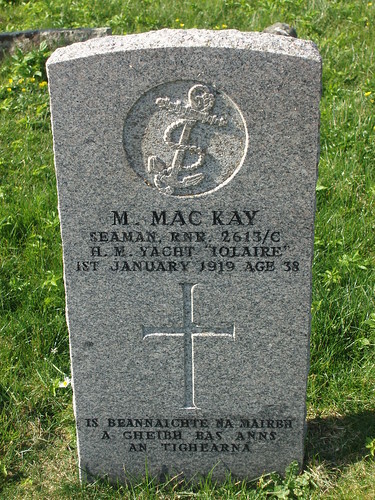 Husband of Kate MacKay, of 36, South Bragar, Stornoway. 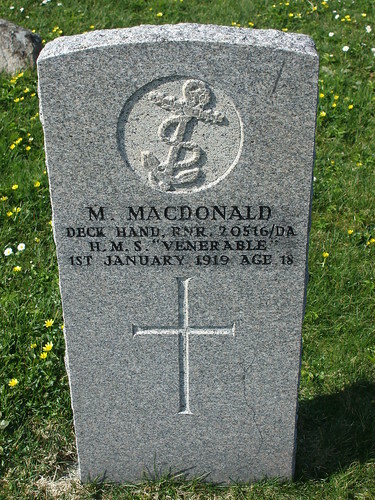 Son of Norman and Effie MacLeod, of 5, South Shawbost, Stornoway. 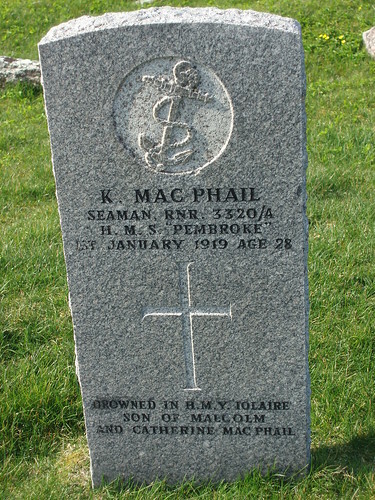 Son of Malcolm and Catherine MacPhail. 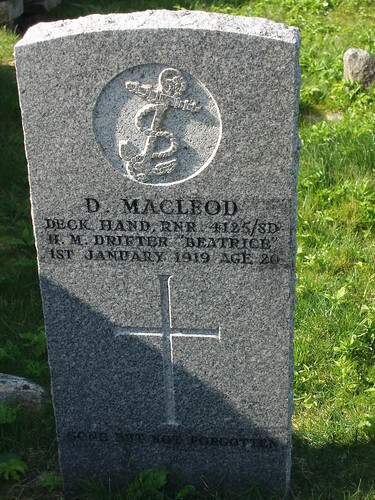 Was the only survivor from a merchant ship which was torpedoed in the Mediterranean. 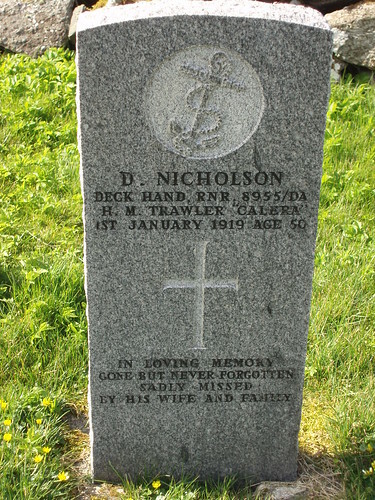 He was in the sea for 36 hours before being found. 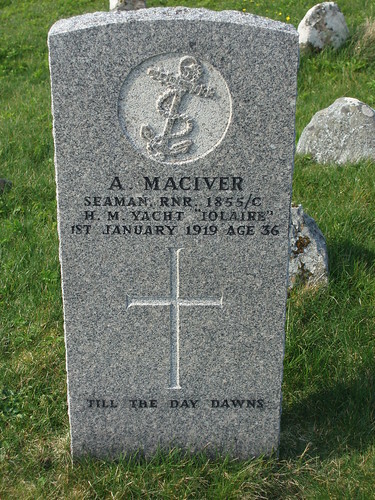 Son of Norman and Catherine Maciver; husband of Catherine Maciver, of 45, Arnol, Stornoway. 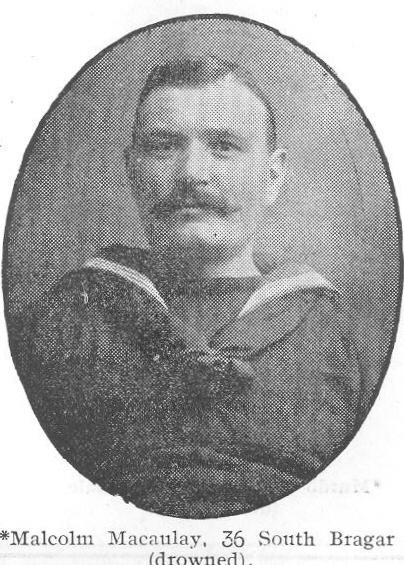 Son of John and Mary MacLennan Murray; husband of Murdina Murray, of 43, South Shawbost, Stornoway. 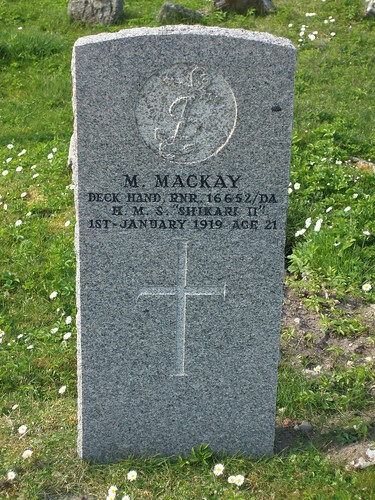 Son of Norman and Peggy Mackay, of 7, North Bragar, Stornoway. 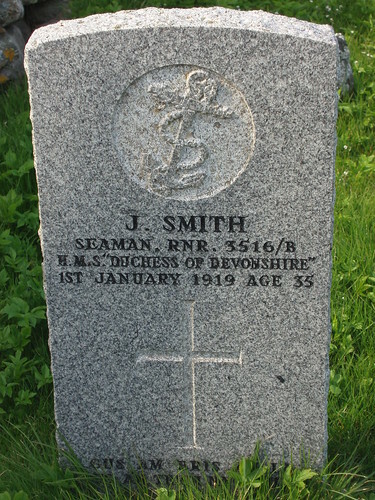 Son of John and Mary Smith, of 14, North Bragar; husband of Kate Smith, of 11, South Shawbost, Stornoway.